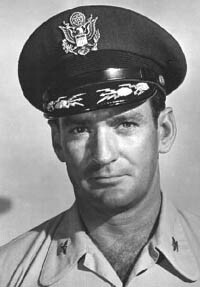 Rod Taylor plays Col. Hollis Farr in this Cold War-era military movie. "A Gathering of Eagles" presents the realities of the U.S. Strategic Air Command and weaves in a personal story about its officers. Rock Hudson has the lead role as Col. Jim Caldwell, who has just been assigned to his first command at (the fictional) Carmody Air Force Base near San Francisco. Carmody's previous commander was removed because the base failed a surprise operational readiness inspection (ORI). Caldwell's mission: Make sure the base passes the next one. 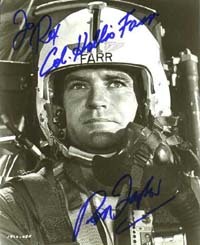 Rod's character, Hollis Farr, had been Caldwell's co-pilot during their Korean War tour of duty, and Caldwell is delighted to find that Farr will be his vice commander. Farr serves to explain how things have been done on the base previously -- often making reasonable excuses for past shortcomings. As the movie progresses, Caldwell becomes tougher and more demanding upon his men. His wife, Victoria (Mary Peach), is unsettled by the ruthless streak he displays and is often left alone because of the time her husband must spend on the job. Farr befriends Victoria, and the two spend and increasing amount of time together, but they back off after others begin to look askance at their relationship. After many a conflict between Caldwell and the men he commands -- including firing Farr, his friend and assistant -- the movie culminates with the base being put through the rigors of another inspection. Farr, and all others pushed by Caldwell, rise to the occasion, even in his absence. The movie is a good study in the nature of leadership and is regarded as a realistic military movie. Shooting for "A Gathering of Eagles" began July 16, 1962, and most of the location filming was done at Beale Air Force Base in Marysvillle, Calif., 40 miles north of Sacramento. Other scenes occurred at the Strategic Air Command headquarters at Offutt AFB in Nebraska. The movie was released in July 1963. According to the movie's production notes, the makers of "A Gathering of Eagles" received the full cooperation of the Air Force and devised the film's military sequences to coincide with regular training operations conducted at Strategic Air Command bases. It was a pet project of Universal's producer, Sy Bartlett, an Air Force reserve colonel. And it was directed by Delbert Mann, an Air Force veteran with 35 wartime bombing missions to his credit. Mann directed Taylor in two other productions: "Separate Tables" and a Playhouse 90 presentation of "The Long March." Other Rod Taylor "regulars" in this movie are actors Kevin McCarthy and Henry Silva. Each appeared in episodes of "Bearcats!" among other Taylor works. Musician/satirist/mathematician Tom Lehrer wrote "The SAC Song" for a scene in "A Gathering of Eagles." About 45 seconds are used in the film, although the full song is about twice as long. Universal's music department noted that Taylor has a fine baritone voice and "a swinging style of his own." Here at SAC we're filled with pride. An enemy attack or an O.R.I. Though sometimes it's hard to hack it. Ding-a-ling-a-ling goes the little red phone. Oh, we love the seven-day alert. For a week we will not see a skirt. To test our positive control. Whatever became of the wild blue yonder? How we wish the good ol' days were back. In SAC! Rock Hudson invests his role with the right blend of authority and warmth. 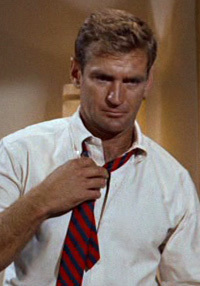 Rod Taylor creates a colorful figure as the undesirably easy-going vice-commander who shapes up when the chips are down. The following information was offered by Rex Dean, who lives near Sacramento, Calif., and who has done extensive research on his favorite film, "A Gathering of Eagles." Any discussion of "A Gathering of Eagles" has to start with producer Sy Bartlett and director Delbert Mann. I really believe they set out to make the best film ever made, and to a large degree I think they succeeded. Both had World War II military backgrounds and were well-suited to make the picture. When watching the movie, it is important to remember that all of it -- the B-52s, the ORIs, the nuclear weapons, the procedures, living conditions, pressure -- everything existed in those days. By going all-out to capture the feeling of the Strategic Air Command and Air Force, they also captured the feelings of the time and place. 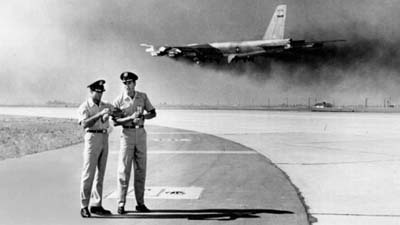 A B-52 crewman with the Strategic Air Command stationed at Beale Air Force Base during filming related a lot about details of what went on and offered little to contradict the accuracy of the film. The B-52s used in the film were B-52 G models and were only a few years old then. The B-52 has been through numerous paint schemes and changes in regalia over the years. But if one could pick out the most colorful and dynamic version of all time, it would probably be those used in the film. The G model B-52 was the next-to-last model produced -- the last one being the H model, which is being used in Afghanistan. Rod's part was to play the vice commander of the wing who had the perfect setup: Take the easy road for himself and let the wing commander take the fall. When the new wing commander starts, he begins the entire process over -- until Rock Hudson's Col. Caldwell cracks the problem. Rod played it perfectly. The script originally may have called for there to be more scenes between Hollis Farr and Victoria Caldwell. A source familiar with the filming said they filmed a scene at the lake on base and showed more involvement between them. In the final version, however, the film leaves it up to your imagination as to whether anything was really going on between them. One of the best scenes in the film is the minimum interval takeoff sequence in which five B-52s take off back to back to back. This was one of the scenes shot in coordination with an exercise on base because it would have been too expensive to stage it for the movie. Watching those things launch and understanding the meaning behind the drill really gets the adrenaline pumping. Right after the planes took off, the movie shows Rod and Rock talking like nothing happened, but I'll guarantee you they probably had to wait an hour for the adrenaline to subside. The ORI scenes at the end were shot at sunset -- a common time for ORIs in those days -- and it still probably was about 98 degrees. My guess is that the filmmakers were trying to capture this pressure-cooker feeling. A source at Universal Pictures said they threw a big party for everybody on base to celebrate the end of the shooting. My source tells me Rod Taylor and Mary Peach showed up, but Rock Hudson didn't. However, this does not indicate a lack of interest Hudson's part. He may have been in Omaha filming the opening scene (it was done last). And the pressbook for "A Gathering of Eagles" reports that Hudson took a strong interest in SAC and did a lot of reading on the subject after being exposed to it in filming. I found another interesting tidbit a couple of years ago. It seems an airman stationed at Beale also had a small rock band and played at a nightclub in Marysville on the weekends. One time during filming Rod Taylor, Rock Hudson and Mary Peach dropped by the nightclub for some entertainment. Apparently this guy was so impressed he considers it one of the great highlights of his life. After meeting Rod at the Hollywood Collectors and Celebrities Show in April 2002, I was glad to hear him say that he really likes the film. As I understand it, GOE did not do as well at the box office as they hoped, and it one of the last films Sy Bartlett was involved in. But on the other hand it was one of composer Jerry Goldsmith's first films, and he went on to have legendary career that included dozens of scores, including several "Star Trek" motion pictures and another Rod Taylor film, "Fate is the Hunter." 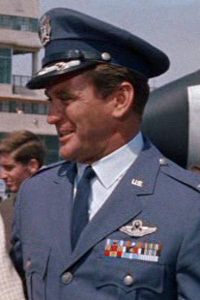 In "A Gathering of Eagles," Rock Hudson played the wing commander of an Air Force base, but the real wing commander at Beale Air Force Base, where the movie was made, was Gen. Sam Byerley. 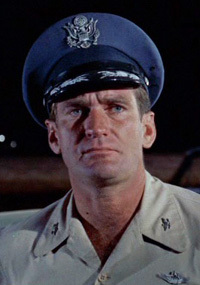 Correspondent Rex Dean spoke with Gen. Byerley and learned some new insights on the making of the movie and about Rod Taylor's role. He said Rod was very nice and very friendly but that he was very focused on making the film and doing the job. However, he did manage to enjoy himself, including going water-skiing at a lake near the base. In the movie, Gen. Byerley thought Rod did an admirable job. In fact, he really liked his part. He thought Rock Hudson's character came across too strong and that Rod's character was always trying to get him to ease up. So, according to the general, Rod in the movie was sort of right all along! For the general to compliment Rod should not be taken lightly. He was a highly respected man in the Air Force. The decision to shoot "A Gathering of Eagles" at Beale was partially because of Gen. Byerley. When Sy Bartlett and Delbert Mann initially called the Air Force and told them what they wanted to do, the Air Force told them to call Gen. Byerley -- he would take care of you. And the rest is history.